Ever state has its own laws regarding child support. In the state of Virginia, child support is calculated using a specific set of child support guidelines found in Code of Virginia § 20-108.2. Monthly child support is calculated based on the combined monthly gross income of the two parents. In cases where the combined monthly gross income is between $0 and $10,000, a table is used to determine what the monthly support payment is for 1-6 children (found in Code of Virginia § 20-108.2). What is “gross monthly income” and how is it calculated? Are you currently facing a child support case? Whether you are looking to receive child support or you are being required to pay child support, McCormick & Calderón can help. 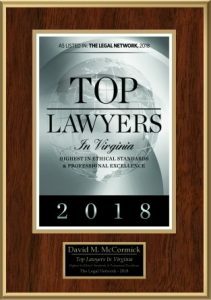 We know Virginia’s child support guidelines and laws inside and out. Let our legal team help protect your rights and ensure that you receive a fair child support order. Contact us today at (757) 918-8365 for a free case evaluation. Se habla español.